Your donations help us to keep our services running in the local community for children, young people and adults. We are grateful for any support, no matter how big or small. To gain an insight in to our work in the local area, please take a moment to read our annual review. With a regular or one off donation to YMCA East Surrey you will be there for local people who are in need. No matter how much you can donate, you will help to provide services for children, young people and adults with disabilities, as well as providing local young people, who may otherwise be homeless, with a safe place to stay. If you wish to send us a cheque, please make it payable to ‘YMCA East Surrey’ and bring it to one of our centres or post it to: YMCA East Surrey, Sports & Community Centre, Princes Road, Redhill, RH1 6JJ. Please don’t send cash in the post or financial information via email. Simply click on the link below to shop at Smile.Amazon and select us as your charity. You’ll be able to shop the same products at the same prices but Amazon will donate 0.5% of your total purchases to us. 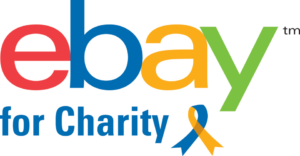 You can also donate between 10-100% of your eBay sale to YMCA East Surrey and eBay will give a credit of basic selling fees for sold items.